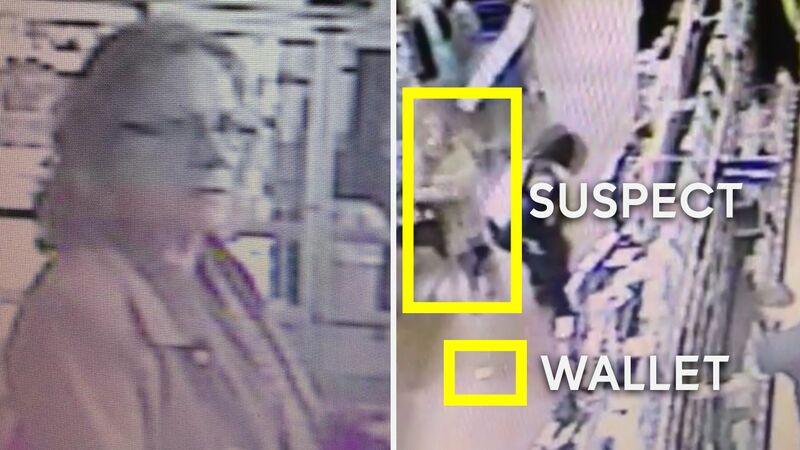 RIVERDALE, New Jersey (WABC) -- Police say a woman seen on video picking up a wallet at a New Jersey Walmart store has been located and issued a summons, and the wallet has been returned. Riverdale police said a 15-year-old girl dropped her wallet in the store Sunday while shopping for a Christmas gift her grandmother, who had just lost her husband of 69 years three weeks ago. In her wallet was $125 cash she collected from her own birthday last week. Surveillance video showed another shopper - a woman - walk by the girl and kick the wallet away while the teen is shopping, police said. The woman is then seen picking up the wallet and leaving. Police said she didn't turn it over to Walmart staff or to law enforcement officials. On Thursday, police met with the woman seen on the video. The wallet and cash were returned, and the woman was issued a summons for theft of property lost. She was released with a future court date. Police say she is from the North Jersey area, but that due to the vast amount of social media attention and to protect the defendant, her name and location are being withheld.